Stir in garlic, ginger, cloves, cinnamon, cumin, coriander, salt, cayenne, and turmeric. Cook for 1 minute over medium heat, stirring constantly. 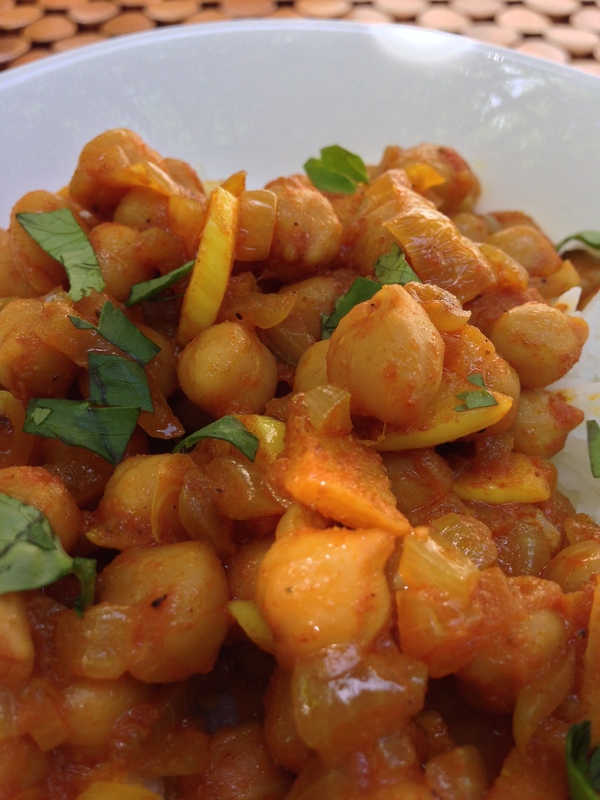 Mix in garbanzo beans and their liquid. Continue to cook and stir until all ingredients are well blended and heated through. Remove from heat. 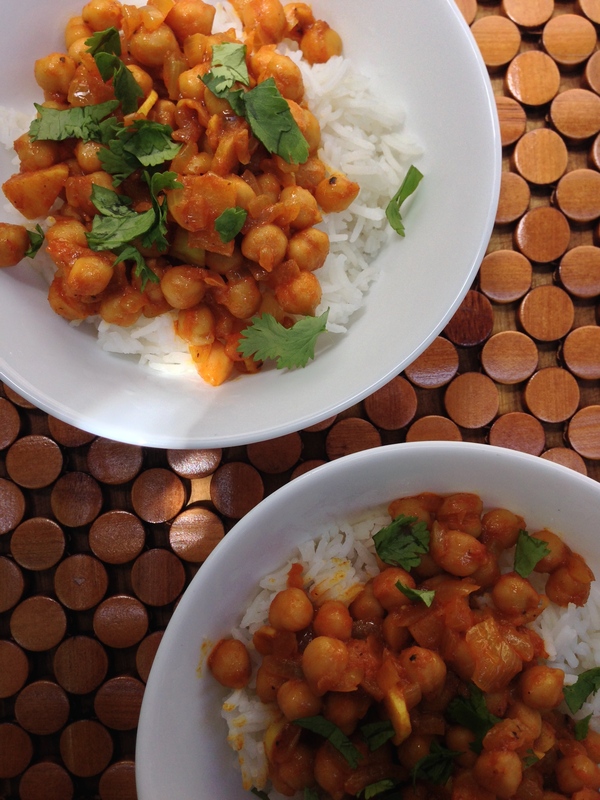 Serve with basmati rice.Garnish with cilantro.